I hadn’t even heard of the Jelenia Gora Trophy until Wednesday and yet 48 hours later, I’m walking the course at 10 o’clock the night before the race with a useless freebie torch from Deutsche Bahn. I literally had to wait until the sun came up before I could ride the course for the first time and see how accurate Fabian Gigger’s course description was. It was exactly as he’d described it. One of this season’s goals has been to pick up UCI points. I had narrowly missed them in the KMC International Bundesliga and in the UCI Junior World Series at Hadleigh. My coach decided we should throw caution to the wind and race in Poland rather the Eifel, Germany, in an attempt to reach the goal. It meant a nine-hour drive thanks to Friday traffic heading out of Germany into Poland. 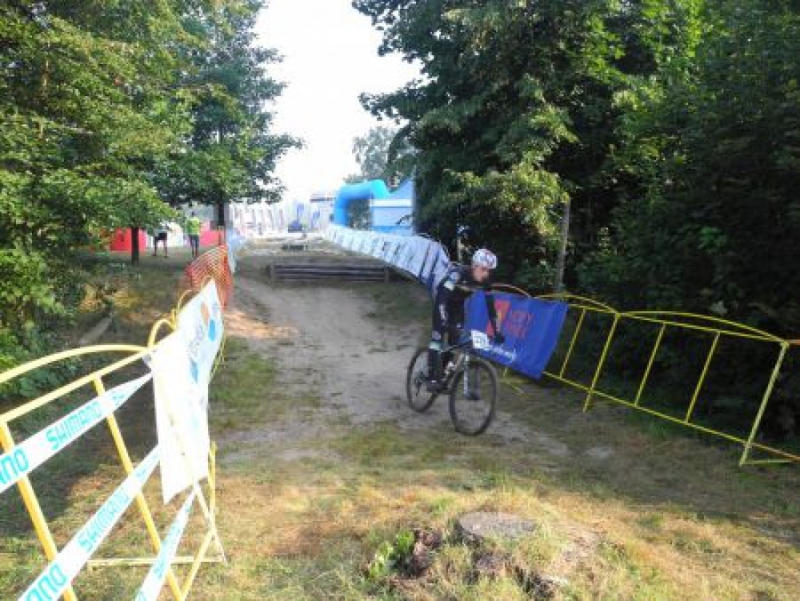 It also meant racing on a course that would expose all my limiters in XCO. At 7am Saturday morning I was on the course for the first time. It was really, really dry and consequently well slippy. One steep, rooty descent in particular was almost impossible to stop at the bottom before its 90° right hand bend. I rode three laps, which was as much as I could do before the race start. The start was one of the hardest starts I’ve come across. It was a fairly wide, 60 meter long but off-camber straight which turned sharply left and then left again onto the finish straight. The speed was blisteringly fast and I slipped right to the back of the field. As we hit the main technical section in the forest, I’d managed to fight my way up into 11th or 12th spot and my legs felt good. On lap two, my legs turned to jelly but from shock rather than effort. I was taken out by a punch to the ribs from a rider passing up the inside. He sent me over the bars into rocks and the netting. He was out of sight before I could read his number. My rhythm and legs were gone. Trying to squeeze every bit of benefit I could out of the anger and adrenalin, I chased back onto a group of four who were riding for the final top ten places. On the final lap I was up to 8th place with two riders less than 30 seconds in front but it was too far into the lap to catch them despite riding like a lunatic on the descents. I finished 8th and picked up six UCI points plus a few battle scars to take with me into the U23 category next season. 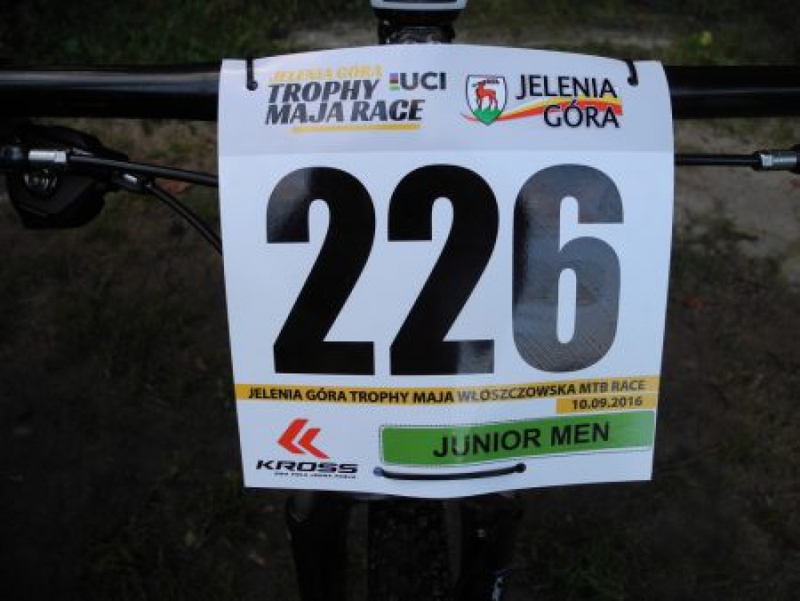 If you are thinking about doing the Jelenia Gora trophy next year, I can really recommend it. The organisation is excellent, the atmosphere issuperb and the course is one which will challenge even the most technically gifted riders. It’s not one for climbers, but that seems to be the way XCO is going. 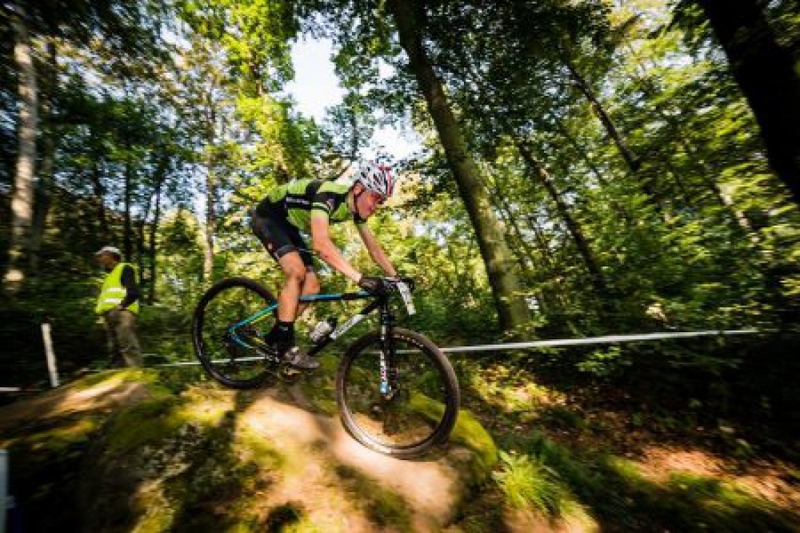 Next week I’m racing in Germany again in the final round of the KMC International Bundesliga in Neustadt, http://www.mtb-bundesliga.net/. It’s going to be a really hard race, everyone on the start list is fast and skilled.